My Status Is Baddest: Oh, is it almost Valentine's Day? I hadn't noticed, what with the pink and red spew all over every store I walk into. Anyway, here's some Valentine's Day status updates. Oh, is it almost Valentine's Day? I hadn't noticed, what with the pink and red spew all over every store I walk into. Anyway, here's some Valentine's Day status updates. ____ loves you more today than I did yesterday. Yesterday you really pissed me off. ____ All you need is love. 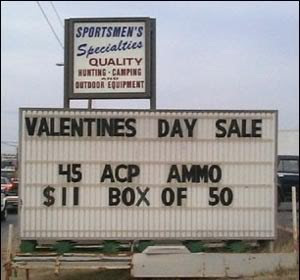 And Valentine's Day is the perfect time to buy lots of things to prove it. ____ doesn't understand why Cupid was chosen to represent Valentine's Day. When I think about romance, the last thing on my mind is a short, chubby toddler coming at me with a weapon. ____ This year, I hope Cupid finds himself curled up in the fetal position in a pool of his own vomit. ____ Saint Valentine was eventually imprisoned, beaten, stoned, and beheaded. They don't tell you that on the cards. ____ is against flowers on Valentine's Day because what if disease-ridden bugs were nesting in them, longing to multiply worldwide? Not so romantic then, eh? ____ plans to treat Valentine's Day the same as all the other nights alone in my apartment. ____ A special message to all you lovers out there celebrating Valentine's Day... Take it inside. ____ wants my boyfriend/husband/girlfriend/wife to know we'd be a normal couple if it wasn't for you. ____ just wanted to tell my boyfriend/girlfriend on this Valentine's Day: I'm exceptionally thankful you lowered your standards enough to date me. ____ just wanted to remind you that yet another obligation to buy me something is right around the corner.